Optus' Optus 10 satellite and the MEASAT-3b satellite which hosts NewSat's Jabiru-2 payload have successfully launched. "This represents the next advance into space by Australians and is an exciting milestone for Optus," Optus Wholesale and Satellite managing director, Rob Parcell, said in a statement. "Jabiru-2's superior capacity will enable NewSat to transition many existing services delivered via third-party suppliers across to Jabiru-2," NewSat CTO David Ball said. Jabiru-2 will deliver Ku-band capacity of 6x36MHz across Australia, PNG, the Solomon Islands and Timor Leste. Optus announced Optus 10 three years ago. 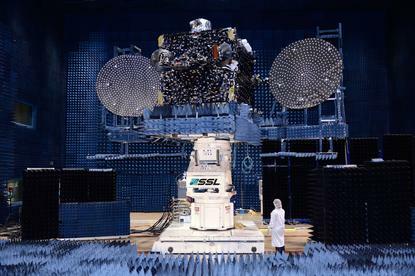 Optus 10 was built by Space Systems/Loral (SSL), which is also building two Ka-band satellites to deliver NBN Co's Long-Term Satellite Service (LTSS). In late April Optus said that teams from SSL and the telco teams had completed the final pre-shipment review and that the satellite was being transported to the Guiana Space Centre. In early August NewSat announced its Jabiru-2 satellite had been delayed "due to an issue with the co-passenger satellite" — Optus 10 — which would undergo "additional testing".